It’s been more than 50 years since the U.S. surgeon general warned the public about the lethal dangers of cigarette smoking. Last year, Surgeon General Dr. Vivek Murthy issued the first-ever report on electronic cigarettes, warning that their use posed a significant and avoidable risk to young people in the United States. E-cigarettes, or e-cigs, arrived on the U.S. market about 10 years ago. Since then, their popularity has exploded, especially among teenagers. E-cigs are not actually cigarettes. There is no combustion or tobacco. Instead, these electronic, handheld devices deliver nicotine with flavoring and other chemicals in a vapor instead of smoke. Although traditional cigarettes are widely known as the most common preventable cause of heart disease, not much is known about the cardiovascular risks of e-cigarettes. To shed light on that issue, UCLA researchers decided to see if two health indicators that promote heart disease in tobacco users were also prevalent in people who use e-cigarettes. The 42-person study, whose findings were published online Feb. 1 in the journal JAMA Cardiology, found that 23 study participants who were habitual users of e-cigarettes were more likely to have signs of two heart risk factors than 19 other participants who did not use e-cigarettes. The risk factors were oxidative stress, which hampers the body’s ability to defend itself against free radicals — a type of particle that has been associated with heart disease — and higher levels of adrenaline in the heart, which can lead to an increased heart rate and high blood pressure. The study's authors noted that the findings only show an association, not a cause-and-effect link between e-cigarettes and the heart risks. 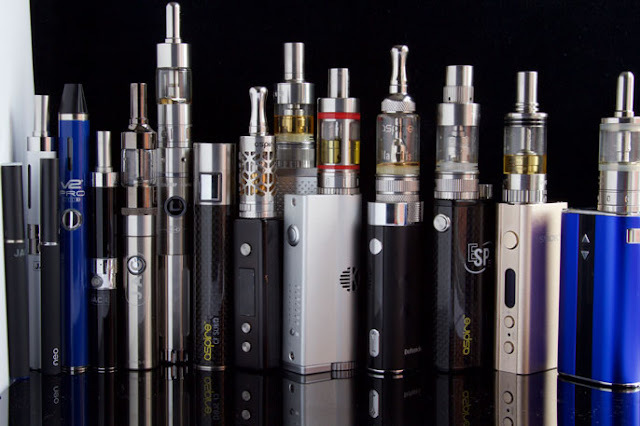 “We do not know if a tobacco cigarette smoker is better off switching to e-cigarettes. Most studies show that carcinogens are present at much lower levels in e-cigarettes compared to tobacco cigarettes,” said Middlekauff. “So it is conceivable that the risk for heart disease is similar for e-cigarettes and tobacco cigarettes, but that the risk for cancer is much greater with tobacco cigarettes." To further their research, they are now doing a comparison of the heart effects of tobacco cigarettes to e-cigarette use. Other authors on the study include Roya Moheimani, May Bhetraratana, Fen Yin, Kacey Peters, Jeffrey Gornmbein and Jesus Araujo. All are from UCLA.